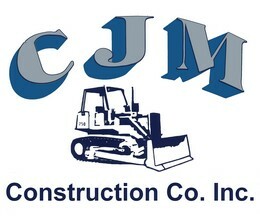 At CJM Construction, we have over 45 years of experience, doing everything from large scale municipal contract construction, to corporate work, to small scale residential work. There is virtually no construction or excavation job we can't handle. 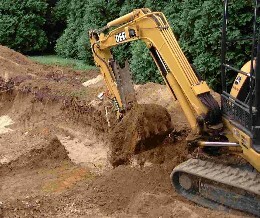 We do site work, drainage systems, excavations. foundations, septic systems, Title V repairs, driveway repairs and more. Because we have a complete fleet of right-sized heavy machinery, both large and small, we're in position to do your job right, on time and on budget: John Deere bulldozer, Front-end loader and Backhoe. Full size excavator, Mini excavator, MAC Dump Trucks and Bobcats / skid loaders. Drainage Services – Depending on where you are located in Massachusetts, keeping your residence or commercial facility free from problems with standing water, can be a major challenge. And solving drainage problems can sometimes be very tricky - that's where our experience comes in handy. If you've got problems with standing water, storm run off, winter run off, excessive water in a parking lot or driveway, or nay other situation where you have surface water that's giving your trouble, we can help. The key is to have the right equipment (we do) and the right experience (we do). Sometimes the solution is as easy as trenching in some drainage pipe and installing a dry well. Other times, re-grading the surface and/or trenching in some gravel is needed. But the solution starts with an assessment of the problem. We're happy to come look at your situation and tell you what we think. Excavation Services – If you live in Massachusetts, from time to time you'll hear in the news about someone renting a backhoe to do their own excavation and causing a fiasco (or worse). If you don't know what you're doing, you can hit a water line or a gas line, cut into the sewer, wreck your landscaping, damage your trees - or even undercut your current foundation. So why would anyone ever try to do their own excavation work? That's a good question and frankly, our only guess is that they thing they might save some money. But guess what? you won't! By the time you are done with rental fees, hauling, clean up, and all the time & effort, trying to do it yourself is a no-win situation. We have both full-size and small-size (mini) excavators in our fleet and we are very experienced on both large & small jobs. If you need a hole dug, we can do it. Foundations – The keys to a good foundation are these: good site work, good drainage, effective planning, experienced personnel, effective supervision, good relations with the concrete suppliers and the right size equipment. Many buildable lots in Massachusetts have a very small footprint, so it's important that the right size excavator be used. Many times, nothing more than a mini excavator, a bobcat and small dump truck is required. Other times, it's better to use full size machinery. The best bet is to call us as soon as you have your project in mind - then we can inspect your location and make recommendations. 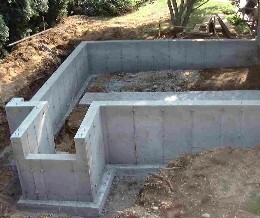 One thing to keep in mind is that that your entire project depends on a good foundation. Once your foundation is in, there's very little that can be done to correct problems after the fact - so it's important that the job be done right - up front. Septic Systems & Title V – You've probably heard the expression "there's no free lunch" and when it comes to staying in compliance with Massachusetts Title V regulations, the only sensible choice is to do the job right. In order to be offered for sale, Massachusetts properties must be in compliance with Title V - there's no escaping from this fact. And make no mistake - replacing your septic system can be a large expense. But it doesn't have to be a hassle - not if you work with the right people, We have all the manpower and equipment needed to manage a complete replacement of ant septic system you might have. 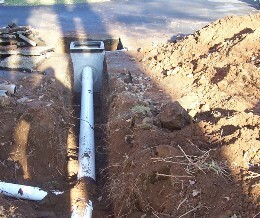 And, if you need a sewer tie-in, we can do that too. 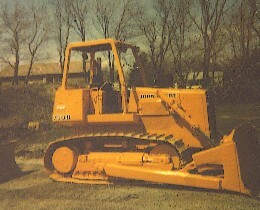 Bobcat Services – The most important rule of thumb in the constriction business is "use the right tool for the job". And when it comes to digging and moving small amounts of material, sometimes the right size tool is a Bobcat skid-steer loader. When operated by an experienced driver, it can be very remarkable how much work can be done safely and at minimal expense when using a Bobcat. And, the due to the small size of the machine, the space requirements are minimal. 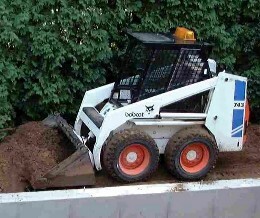 A typical on-site uses for a Bobcat would be to clear up excess back-fill from foundation work, or cleaning up rock piles, rubble or mulch, etc. We have have are own equipment - and we have experienced operators. This means we're available for all types of jobs, even on short notice. We can handle any job you might need us for. 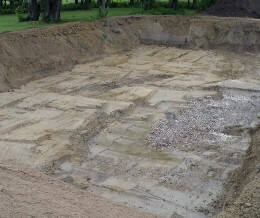 Site work – On any construction that requires clearing an area, site work is the most essential step. You can't dig a foundation, improve drainage, fix a driveway, install a parking lot, build warehouse, or do any number of other tasks, until the site is prepared. But, even though site work is essential, it's not always obvious how important it is, because when the job's done right, there's no evidence left that heavy machinery was driving back and forth across the job site. And that's the main idea: good site work gets the job done. but doesn't a huge mess behind that takes years of landscaping to correct. When CJM Construction does site work for our customers, our aim is to get the job done on time, per specifications and without causing a huge mess. Fully Insured – When it comes to completing a construction job on time and on budget, there's no substitution for having a management that's committed to the success of your project. 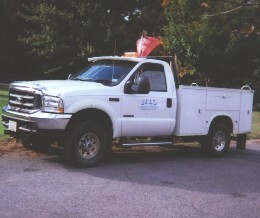 At CJM, every job we do is overseen by key management personnel and were are fully insured. We're on site everyday, making sure your job goes right, overseeing the process and taking a hands-on approach ro move things forward. We take every job seriously, because doing the job right, on time and on budget is our business. If your project is important to you, then it's important to us. We treat every job as if we were doing it for ourselves. We take pride in doing things right - and it shows in our work.